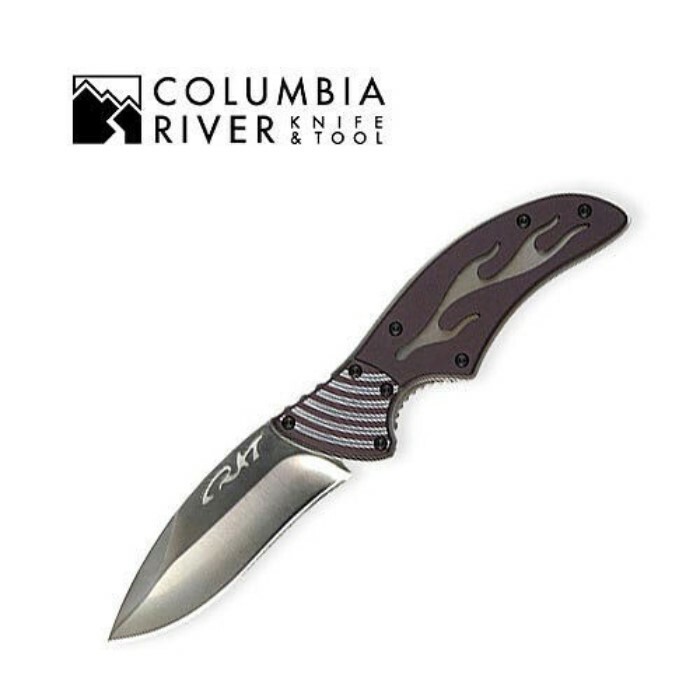 Columbia River Fulcrum Flame Folding Knife | BUDK.com - Knives & Swords At The Lowest Prices! This CRKT folding knife delivers an exciting patent pending opening action in a stunning design. This folder features a premium AUS 8 stainless steel 2 3/4" razor-sharp drop blade with a bright satin finish. The handle offers the high-carbon stainless steel InterFrame build, with black anodized 6061 T6 aluminum scales and a locking liner. The blade is opened with by pressing the left side of the frame down the thumb to swing the blade out to a 90-degree position. Then pull back on the left side of the frame, gripping the choil with the index finger to rotate the blade to the open and locked position in a quick, double-click action. One-handed closing is just as fast and easy by simply releasing the stainless steel locking liner. This folder includes a removable stainless steel pocket clip and measures 4 1/4" closed. CRKT, 7406.